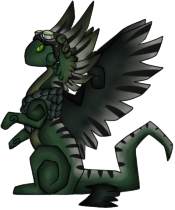 Shadis is a mutant Coatl who hails from a strange place called the Sierra Madre. He was mutated by a strange, rustlike toxin dubbed 'the Cloud,' which was rumored to come from the Big MT and now shrouds the casino and its Villa in its corrosive haze. He lumbers around as if intoxicated, though truth be told the toxin mutated his joints as well, which inhibits his movement. Despite this inhibition, he can lurch and jump with frightening speed. "The air smells like copper - old world gold." His mental functions suffered from the constant exposure to the toxic Cloud, but he retains an alarming amount of intellect. Shadis is an ingenius improviser - one should be wary of his knife spears. He manufactures a strange substance called 'ghost sight,' which allows other dragons to see the green-toned monochrome world he sees. 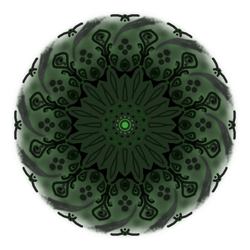 As a result of this vision, he has excellent night maneuverability, though this enhancement comes with a price - he no longer sees very well at all in any sort of bright condition, which is why he prefers to keep to the tunnels connecting Fellreach to the wastes above.  Due to the nature of the Cloud, he cannot speak in a way that normal dragons can understand; common draconic language is impossible, and his humming Coatl language is distorted and strange. It sounds more like muffled and broken huffs. Even other Coatls find it impossible to converse with Shadis, so his webwing familiar speaks for him. The silky webwing that accompanies Shadis everywhere is effectively his translator - it talks common draconic for others to understand. It is the only creature that seems to understand his attempts at speech, so it is imperative that he brings it with him at all times. He has not named it yet... or he has, and is unable to effectively communicate it's name. He does call it something, as a repeated noise is used every time he gets the attention of the bird. Poison and corrosion resistance increased. His saliva is highly corrosive, most likely warped by the toxin that mutated him so long ago. He delights in the chase of his prey, for it can never escape him. He likes to toy with his victims, and seems to enjoy their fear. Shadis carries a Geiger counter on him. It registers his being as above background radiation. He rarely descends into the actual cave where the majority of the clan lives. Shadis prefers to stay in the tunnels and the Boneyard above. Physically incapable of using breath magic, he relies on his teeth, talons, and knife spears to get the job done. Canonically he isn't wind-aligned, he actually lost his element through the mutation process. His tongue glows bright green like his eyes. His eyes leave small green trails in the air. Despite his physical handicaps, what with running and land travel, he's actually a very good flier. He has hard scales on the wrist joints of his wings, a mutation granted to him by his irradiation long ago. This allows him to run frighteningly fast - even through the small tunnels he patrols. He is a cannibal, and thinks nothing of it. He eats whatever food is available - beast or dragon. Despite his attitude towards food and his near-sadistic hunting habits, he's actually quite friendly and likes talking to other dragons. Only one wind - well, former wind dragon resides in Fellreach. He was hatched in a distant Wind clan inside the Twisting Crescendo. Though he remembers very little from his hatchling days, he, or rather his webwing (we'll get to that later), says that he remembers the love he felt from his parents. Of course, it couldn't be merry for long. The Cloud did a number of horrific alterations to Shadis' mind and body alike. His element was warped and twisted until it ultimately disappeared, he found himself incapable of any coherent speech, his joints no longer function the way they once did... the list goes on and on. A deep sorrow fell over him, now a husk of a dragon he once was. Eventually (incidentally, Shadis says he doesn't remember how he got back either, but some suspect this time he just doesn't want to tell the tale) he found his way back to Sornieth, now stranded in the Scarred Wasteland. The sentry for Fellreach found him and took pity on the mutant Coatl, dragging him back into the cave to the leaders. Long story short, he was accepted into the clan and now serves as a sentry like the dragon who found him. He stumbled among the silky webwing while patrolling the Abiding Boneyard, lost like he was a long time before. The webwing bonded to the lonely dragon, and eventually grew to understand him. They're at the point now where the webwing can tell what Shadis wants to say without even communicating with him, most likely due to the incredibly strong bond they now share. Despite his place in the clan, Shadis says he still misses the howling winds of the Crescendo from his childhood. 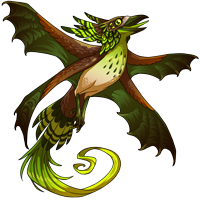 He retains a love and skill for flying, which is perhaps the only lasting tie he has to his lost element and his long-past hatchling days. This is what Shadis normally wears when he's out on patrol or hunting.